Tackling Violent Crime in Chicago: Is it a Lost Cause? Like most cities, Chicago’s violent crimes seem local to certain areas and districts. Those areas taint the entire city with their reputation of violence. Specifically, neighborhoods that are infested with gangs and street thugs, like Austin and Englewood, have a murder rate that is much higher than any other part of the city. But when anyone thinks about Chicago, they think that it is one large area where gangs rule. Sociologist refers to this typically as the “crime gap.” Theory has it that the “crime gap” advances as the “income gap” gets wider; that they are linked in such a way that unemployment and poverty creates the atmosphere where wants and needs conjoin to create the stagnant pond that eventually gives birth to crime and violent behavior. This theory is played out in neighborhood after neighborhood. The most crime infested communities are those where poverty is the rule of the day. Theories aside, is there a way to fix this problem? A good start would be to bring industry back into the communities, but employers are not likely to relocate into areas overrun with violent crime. To end poverty, you need to bring employers back into the inner cities but the employers will not come back unless crime can be controlled. Entitlement programs are bandages in a situation that needs a tourniquet. Those that can move out of the city altogether, are doing so. Often city officials come under fire for the conditions in the urban areas. Law enforcement is usually scapegoated because of its inability to rein in the criminal elements that have taken over portions of the city. The poverty situation in the inner cities is definitely a problem, but you also have a malaise that has settled over these communities to a point that many feel that acceptance of their plight is all that can be expected. The feeling that there is nothing anyone can do about this situation is generational, passed on from father to son and from mother to daughter. What is a resilience officer? 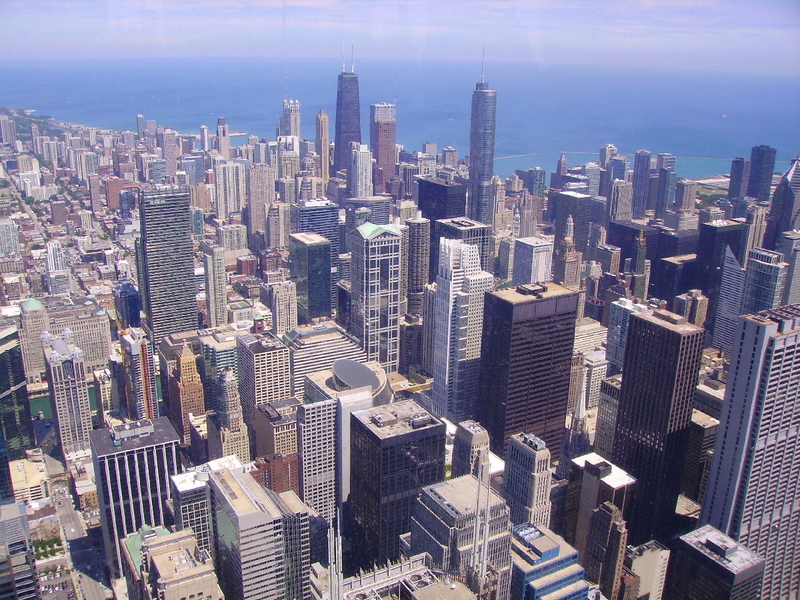 Chicago just hired its first resilience officer (CRO) to assist the city in bouncing back in the event of a natural disaster, and other issues that have been plaguing the city for some time, like crime, poverty, and its decaying infrastructure. Aaron Koch is the former deputy commissioner of the city’s Department of Water. The CRO is sponsored by the New York-based Rockefeller Foundation in an effort to “promote the wellbeing of humanity” in areas where it is most needed. In order to make this happen, they have established a goal to invite at least 100 cities in the nation to implement this program. Chicago was chosen in 2014. So far there are 64 cities participating in this program. Some of Chicago’s main issues concern the high risks of murder and violence in the city as well as the dysfunctional relationship between the police and the communities they serve. These issues may have been created by the undercurrent of poverty and a perceived notion of social injustice. For more on this story see the Chicago Tribune. It remains to be seen if the CRO will be able to make a difference in the communities that need a lot of attention if they are to be turned around. Crime prevention in the urban centers is one of the key elements to be considered. Getting the law abiding citizens to understand the problem well enough to help solve it will be half the battle. For those needing representation when faced with an accusation and possible conviction of a crime, you will need the assistance of an experienced criminal law attorney to help you with the process. Call the Law Offices of David Freidberg today, at (312) 560-7100, or send an email, for a free no-obligation consultation.